Today is the first day, since roughly 2007, that I have had to use Adobe Premiere to edit a video project. 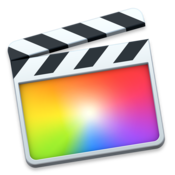 Since Apple bought FCP from Macromedia and ported it to the Mac, the first release of Final Cut Pro (since Adobe snubbed Apple) I have been using Final Cut. For those who don’t know (and probably don’t care), Apple bought Final Cut Pro from Macromedia as a result of Adobe’s short sighted (imho – since proven true) view to split Mac and Windows licensing models, requiring users to purchase a new license key if they wanted to move from Premiere for Windows to Premiere for Mac – then only to find that Adobe was effectively mothballing Premiere for Mac. At the time Apple was nearly bankrupt, and losing the video editing market would have been the final nail in the coffin. Steve Jobs took a huge gamble, and on the whole, it paid huge dividends. Apple released Final Cut Pro X in 2011 and I for one was quick to adopt, even though it was missing a number of “Broadcast” features that were present in Final Cut Studio, and since the introduction of the magnetic timeline and FCP’s redefinition of NLE (Non Linear Editing) my workflows have become slick, and I am able to edit relatively complex pieces (including compositing) seamlessly and quickly. I can cut, splice, insert, move and generally weave my creative magic over hundreds of clips (including multiple angle video, multiple audio tracks, special effects, and more) effortlessly. With hindsight, the lack of certain features and the retirement of Final Cut Studio / replacement with the totally new Final Cut Pro package was probably premature. The industry choked on the lack of ability to import/export XML, amongst a number of more Pro features. They did however redefine the desktop editing experience and almost single handedly introduced the vlogger to the world which YouTube were quick to capitalise on! 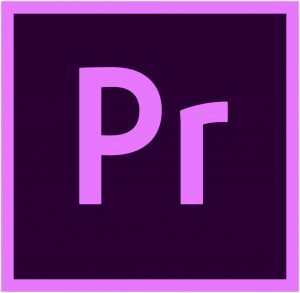 Scroll forward to October 2017, as part of the Raindance HND, the software of “choice” to which Raindance (and to be fair most of the industry) has settled on is Adobe Premiere Pro. To this end, I had to edit my first simple project in Premiere. Something which would have taken me 5-10 minutes to do in FCPX has so far taken me 2 hours in Premiere, and the experience has been painful. On occasion I have felt as though I am quite literally gouging my eyes out with a spoon .. and at this stage, I think that this may have been more pleasurable than my time spent wrestling with Premiere. I fear this is going to be a painful, uphill struggle. 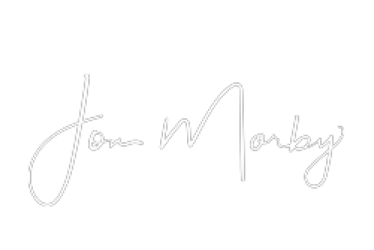 Whilst there are more and more creators “breaking the mould” and moving to FCPX (and Davinci Resolve), I can understand why we need to learn and use Premiere…. It is after all what everyone else uses, and it is “professional”, whilst FCPX is considered “Mickey Mouse” (note, that’s what teachers at Met Film School have said previously and not my own words/thoughts). Personally I find FCPX to be forward thinking, incredibly flexible and efficient, and uber fast when it comes to rendering (I’ve seen a 15 minute video render in 30 seconds on FCPX and 45 minutes on Premiere – all on identical hardware). FCPX may well be the way of the future, however I guess we have to learn editing the hard way first and only once we’ve done that can we then find more efficient ways to progress! Sadly the video project has not yet been completed. I am going to continue to slog away with the antiquated track editing system and see if I can (eventually) pull some form of rabbit out of the hat. Wish me luck!